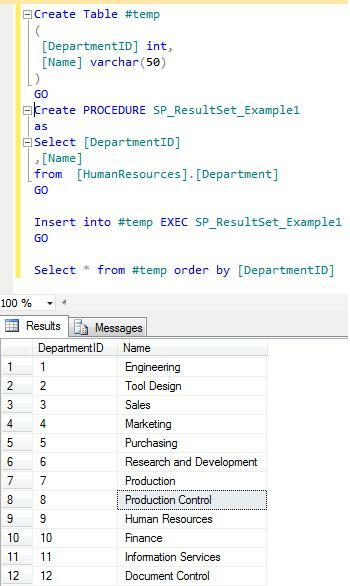 SQL SERVER – Stored Procedure – Insert into exec with result set. In my previous article, I wrote about Executing Stored Procedure with Result Sets. 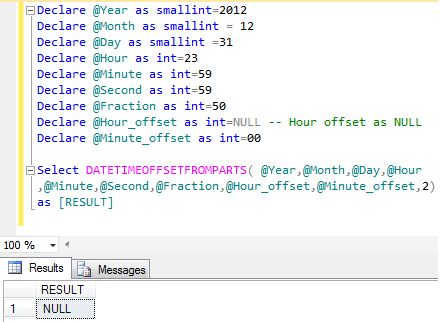 I utilized this new feature introduced in SQL Server 2012 many times and it is very handy, when it comes to manipulate stored procedure result sets. 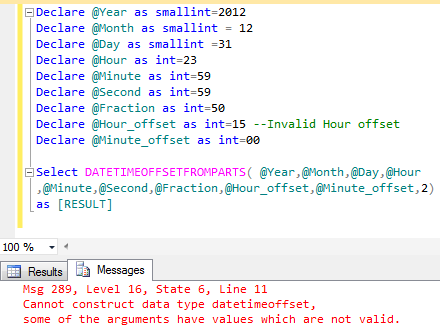 Today, I was reading a question related to this topic in a forum where a community member tried to manipulate stored procedure result set with result sets keyword and then insert it into a temporary table. But it gives an error. In this example, we will insert the result set of a stored procedure in a temporary table without using result set keyword and it works fine. 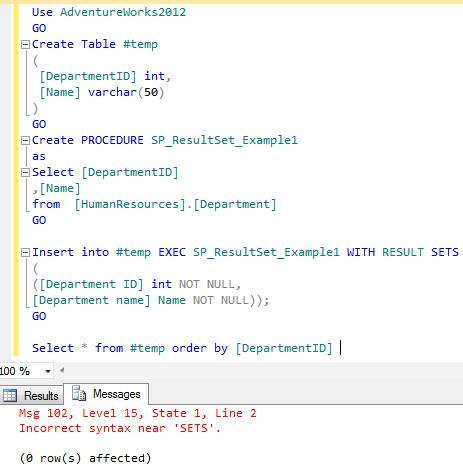 In this example, we will insert the result set of a stored procedure in a temporary table with result sets keyword. It gives an error . Possible execute options. The RESULT SETS options cannot be specified in an INSERT…EXEC statement.” . I received a query from one of the community members, before discussing his query I would like to discuss his environment first. He is working in an environment where multiple users shares the same machines and the same credentials to work on SQL Server Management Studio 2005. He asked me, if I could help him to remove the recent files activity from the menu, to restrict any other user from viewing his activities. Given below is the screen image in SQL server 2005 with the recent files history. 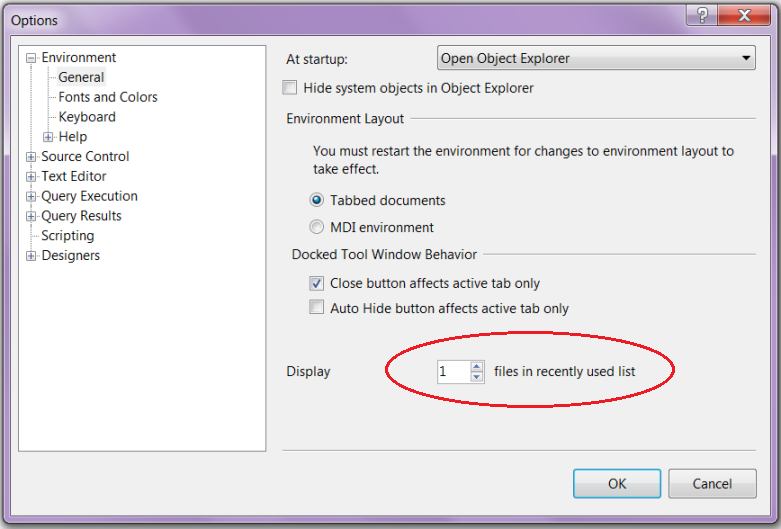 Here you can change the display files in recently used list from 10 (By default it is 10) to 1. You cannot make it 0. If you make it 10 again, it will show you the history again. You can delete the recent file activity history through registry. Open the registry via “regedit.exe” and go to the given below path with respect to the SQL Server version you are using and delete the key related to your files as shown in below image. 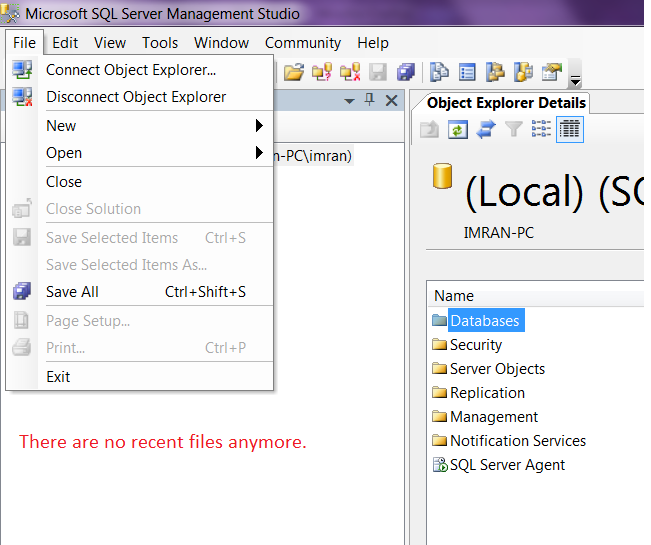 After that close the SSMS and open it again, there will be no recent files activities. Let me know if you know a better solution. sys.dm_exec_query_stats is very helpful dynamic management view when it comes to query recovery. Sometimes we write queries to perform some operations in the database and after that close the script window without saving. Later on realize, if only had I saved it, it would have saved some time. 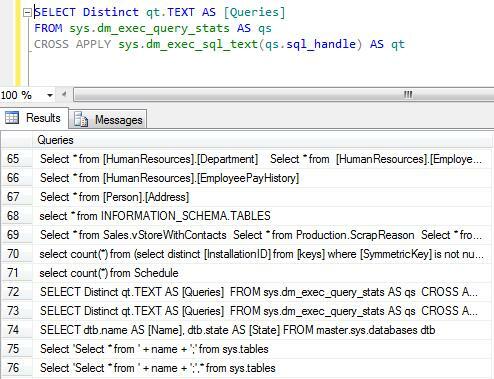 Here the solution comes namely sys.dm_exec_query_stats. 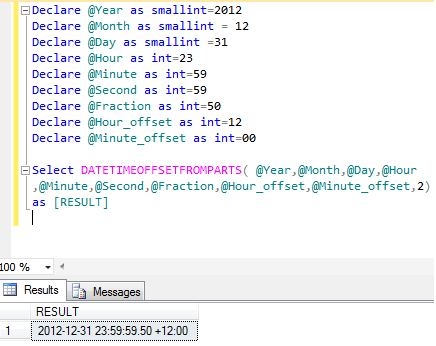 This view can recover your query from sql server. Let me create an example to explain it. 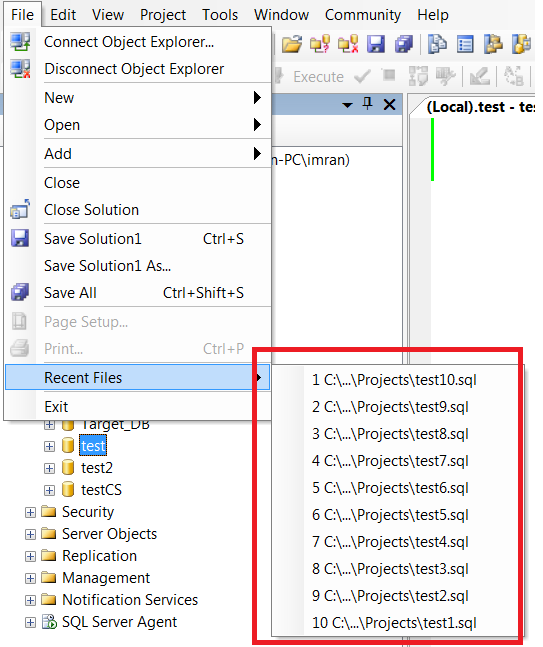 First open a new query window and execute the given below script and close the query without saving it. After that, just execute the given below script, it will recover your query. The reason why we used distinct in the above query is, there are queries that we have executed multiple times that will appear as well. Still, I am searching for a solution that can link these queries to the user who executed it so the recovery would be easier. Will update you on this in the upcoming post. SQL Server assigns each object (tables, view, stored procedure, functions etc) a unique ID and that ID we call as an Object_ID. In simple words, we can say that it creates uniqueness between two objects. In this article, we will learn how it works, what is the next counter, etc. What will be the first object_ID in the new database ? If you create a new object in the database, the first ID will always be 2073058421 in SQL SERVER 2005 and 245575913 in SQL SERVER 2012. The difference between both versions is due to some new internal tables introduced in SQL SERVER 2012 and got the new ID 2073058421 (filestream_tombstone_2073058421) once you create a database in 2012. How to get this Object_ID from SQL ? What will be the object_ID increment counter for user defined objects ? It will add 16000057 + Last user defined object_ID and will give you a new ID. What will be the object_ID increment counter for system objects ? It varies from 1 onwards. If we drop an object and create the same object, does SQL assign the same object_ID ? No, SQL will assign a new ID every time. Why some object IDs are in negative and some IDs are in positive ? If you execute above query, you can see Some IDs are in positive and some are in negative. All user defined objects are assigned a positive object ID plus system tables. Apart from these objects, the rest of the system objects are assigned negative object IDs. All the above facts and figures can vary in different versions of SQL. If you know something new about Object_ID do share with me. Recently, I came across with a nice question in a forum, how to mass/bulk rename sql tables. The issue was, some tables were imported from some sources but their names were not as per the database standards. Therefore standardization was required. 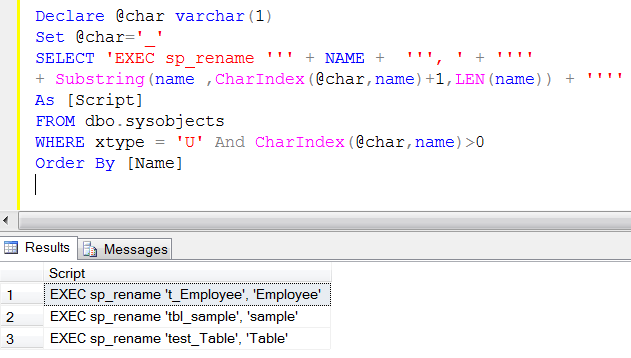 Given below is the solution that will dynamically make sql statements to rename the tables. And if you execute the result set of the below query it will rename all your tables having “_” in the name. You can use replace “_” with any other character as per the requirement. In this article we will discuss a new error message (Window frame with ROWS or RANGE must have an ORDER BY clause) introduced in SQL SERVER 2012. Window frame with ROWS or RANGE must have an ORDER BY clause. In the above example, you can see, I used Window frame with ROWS in the OVER clause but forgot to provide order by clause. Remember, whenever you use Window frame with rows or range, make sure you use it along with order by clause to avoid this error. Please let me know if you have other samples to regenerate such error.